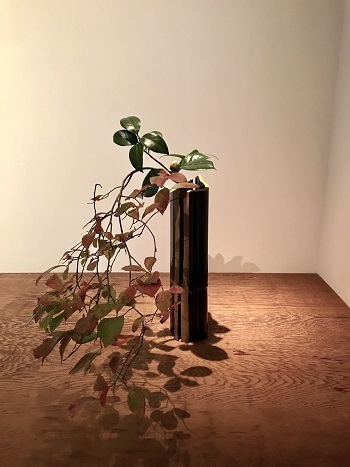 We apologize for the inconvenience, but our location in Shirokane will be closed for three days, from April 3-5, as we are hosting a talk show by Sugimoto Hiroshi and Senda Yoshihiro, entitled "A Thorough Account of the Illusive Azuchi Castle". Our location in Roppongi will operate according to its usual schedule during this time, so by all means please stop by. We hope you had an enjoyable break, and we look forward to seeing you in 2019. 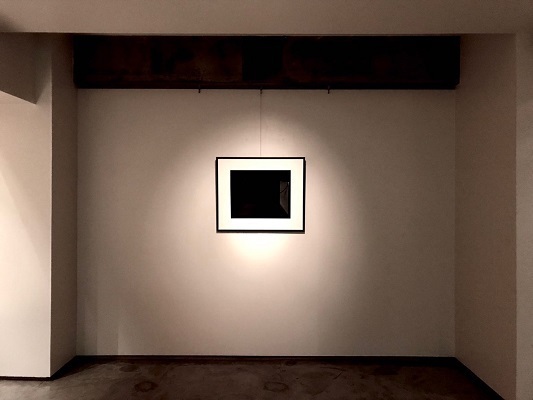 We are pleased to announce our latest exhibition rotation in Shirokane. 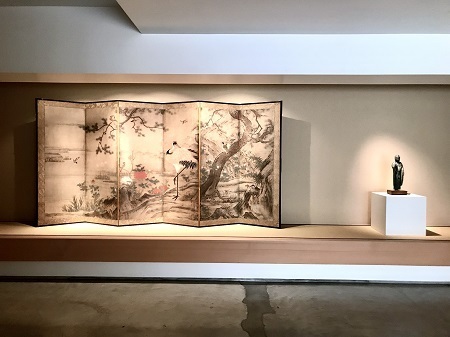 Welcoming visitors in the main alcove is a Momoyama period (1568-1615) Kano school screen depicting birds and flowers, and also on display is a wooden sculpture of a dragon's head, once used at the temple Toshodaiji as the finial of a banner hanger. Together they create a very celebratory atmosphere. 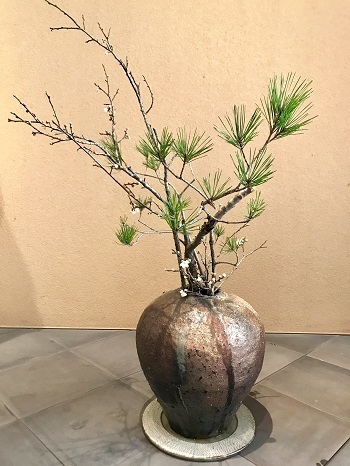 To celebrate the New Year, we have arranged pine and plum blossoms together in a Shigaraki jar. 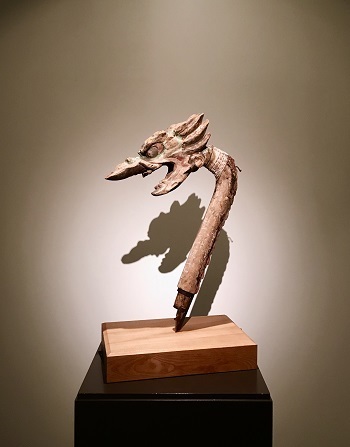 Despite the often bitter cold, we hope that you will take the time to stop by and see the show. ※Please note that certain exhibits may rotate during the show. We hope this finds you well as the end of year rapidly approaches and everyone is busy tying up loose ends. Both galleries will reopen according to their regular schedules on Tuesday January 8. We wish you all the best for the holiday season, and look forward to seeing you all again in 2019! 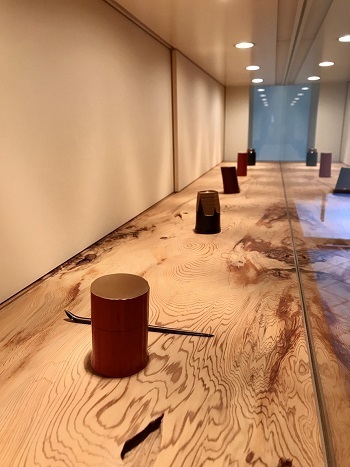 We are pleased to announce the opening of a special exhibition at our Roppongi gallery, showcasing implements for the tea ceremony made by the contemporary lacquer artist Ikeda Iwao. The artist himself will be present at the show everyday, sharing his concepts and techniques with all who attend, so we hope you will all take advantage of the opportunity and stop by the exhibition. We hope this finds you well as the cold of winter begins to settle in all the more. 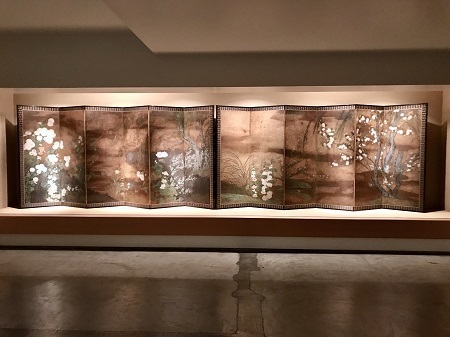 We are pleased to announce our final exhibition of the year in Shirokane, which opens with a beautiful pair of bird-and-flower screens by Hasegawa Tohaku (1539-1610). 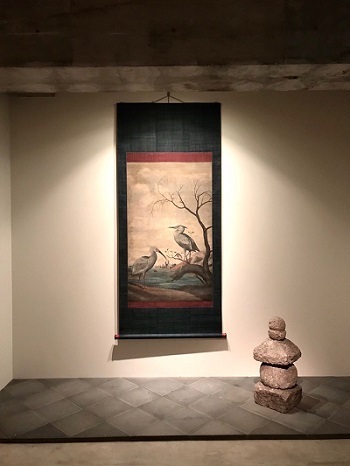 Also on view is Waterbirds and Willow Tree in Winter, by Shiba Kokan (1747-1818), which we display here for the first time since being remounted. 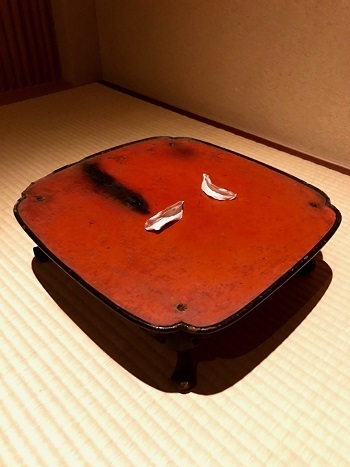 In addition, we have works on display by contemporary artists Sugimoto Hiroshi and Hashimoto Masaya, the latter displayed on a Negoro lacquer tray. We hope you will all take the time to stop by the show! 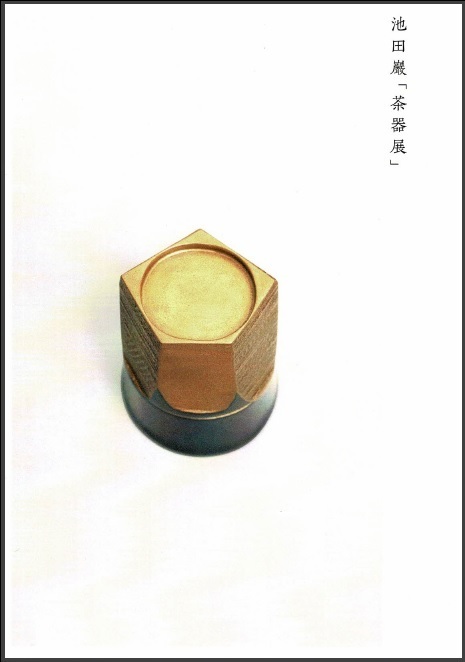 ※ Please note that certain exhibits may be rotated during the show.